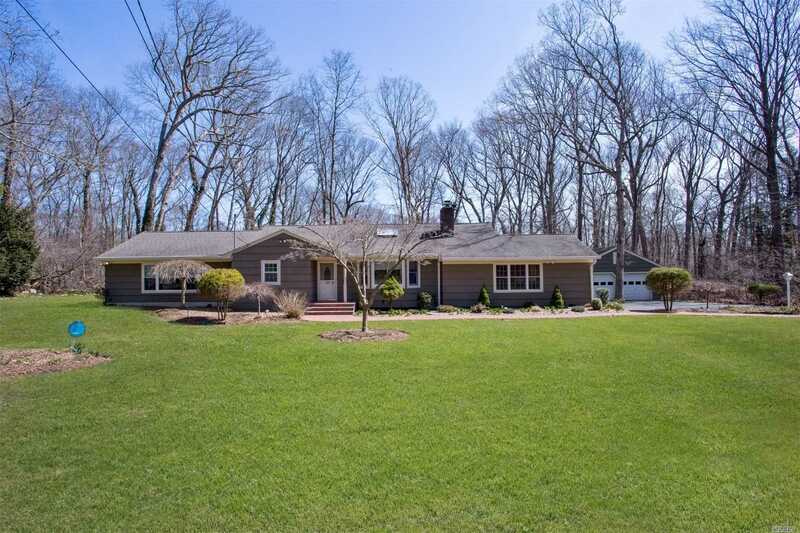 PRIME OLD CHESTER HILLS, Blue Ribbon 2018 Elwood SD#1 MOVE RIGHT IN- Pristine Well Maintained 4 Bedroom 2 Bath Expanded Ranch, Basement, Private Acre.Light, Bright Eat-In-Kitchen Granite Counter Tops/Peninsula Adjoins 3 Seasons Room, Welcoming Living Room Fireplace, Expanded Den, Expanded Master W Room Sized Closets & Spacious Ensuite W Jacuzzi Tub/Separate Shower. Glistening Oak Hardwood Floors Throughout, Crown Molding, Chair Rail, Skylights, CAC. Many updates. Close To Shopping, Parkways, Train. Open House 1 Note: CANCELED CANCELED CANCELED! NOT RESCHEDULED.